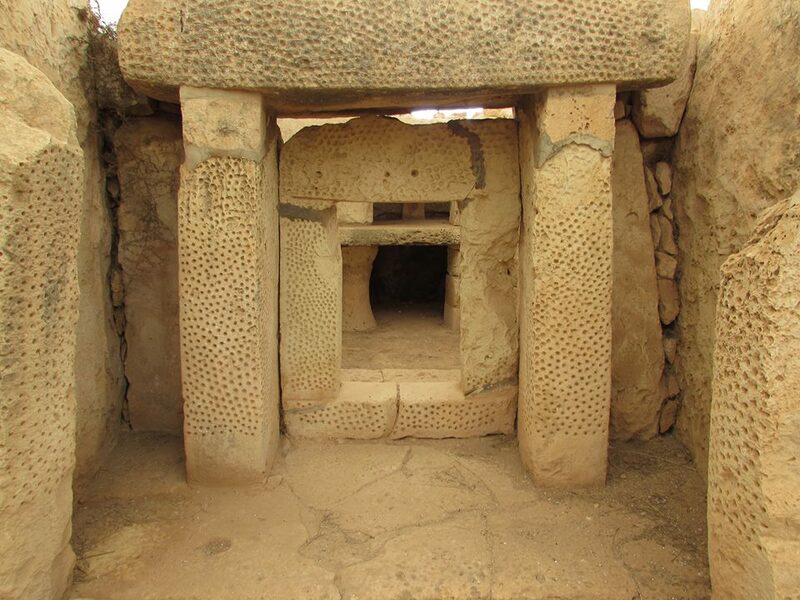 Megalithic Temples of Malta - Who built the stone temples of Malta and Gozo? 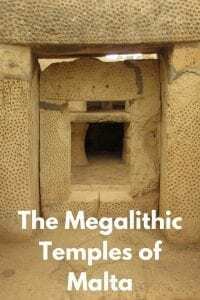 Megalithic Temples of Malta – Who built the stone temples of Malta and Gozo? 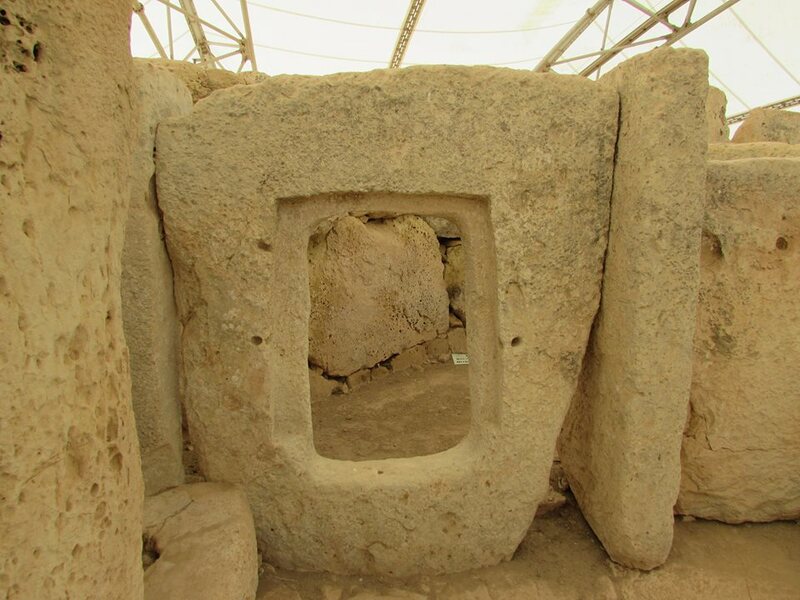 Who built the megalithic temples of Malta, thought to be the oldest temples in the world? We may never know for sure, but visiting the temples should definitely be on your itinerary when in Malta. Over the years, I have combined travel with visiting archaeological sites around the world. Don't worry, I don't have Indiana Jones syndrome! I just have an interest in ancient civilisations, and like to have a wander around places built thousands of years ago. 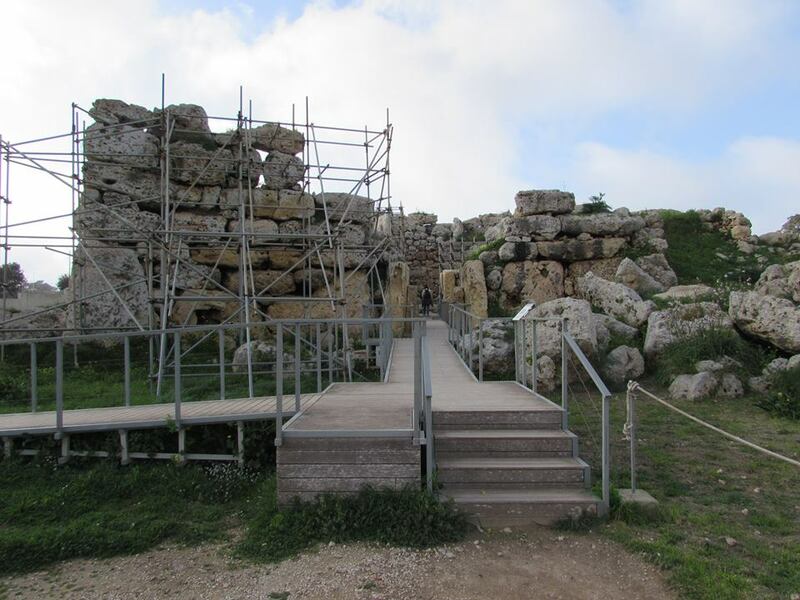 On my recent visit to Malta, I had the chance to visit some more ancient sites. In fact, it was one of my reasons to visit Malta in the first place. When were the Malta stone temples built? 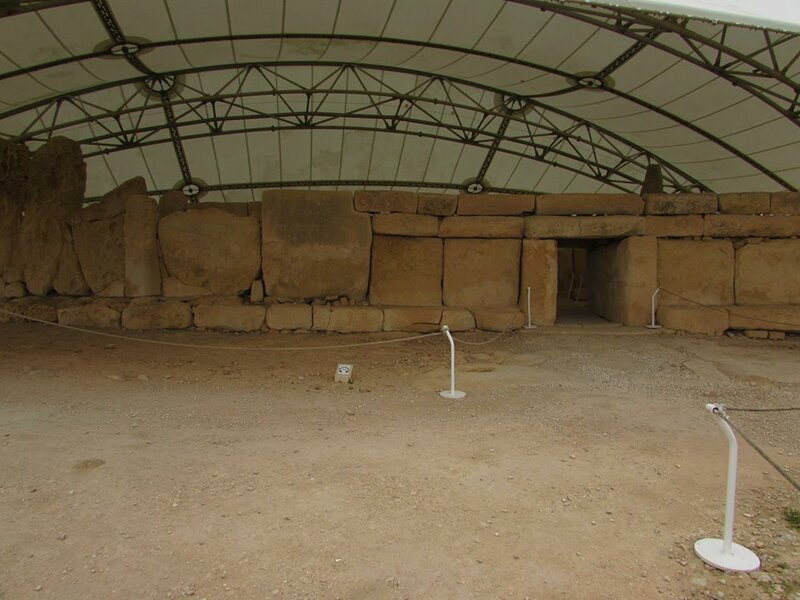 The Megalithic Temples of Malta were constructed sometime between 3600BC and 3000BC. Current dating puts them as older than Stonehenge and the Pyramids, and they are often referred to as the oldest in the world. (Note – Göbekli Tepe in Turkey may actually be older, but I will leave that for the Maltese to argue about!). 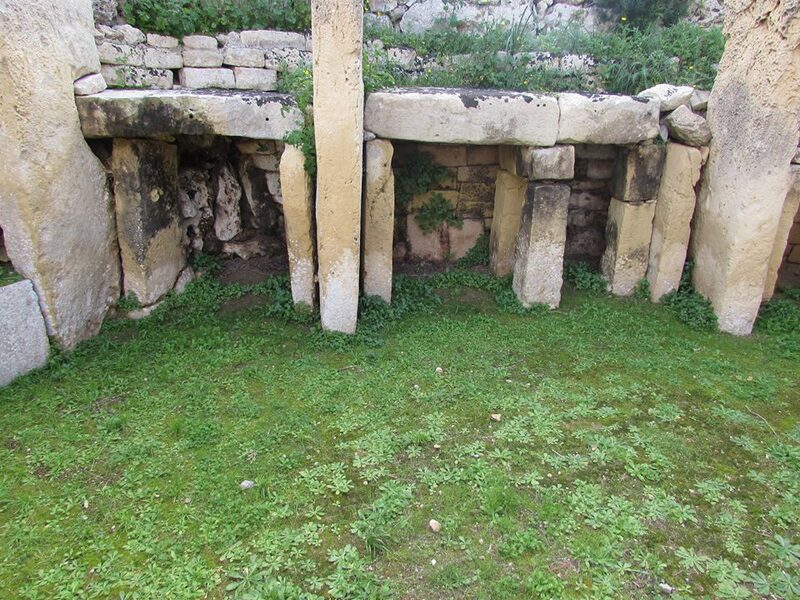 There are dozens of megalithic temples on the Maltese Islands, several of which are UNESCO World Heritage Sites. These two Malta temples are found in close proximity to one another. You might argue that they are part of the same ‘temple complex' as they are just a few hundred metres apart. 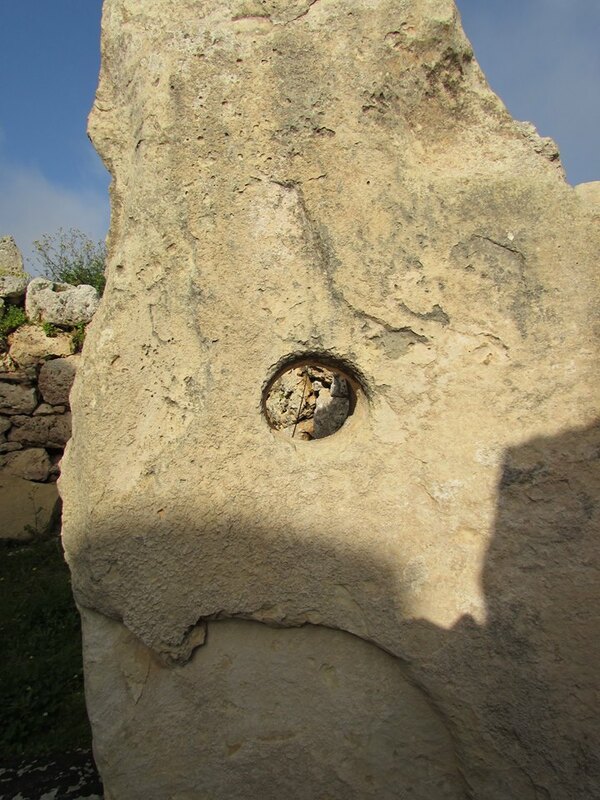 There are a number of points where some of the stone slabs have circular holes in them. It is thought, that they may have been ‘oracle stones'. The theory goes, that devotees or worshippers would be on one side, and a religious oracle on the other. A prophecy or blessing could then have been given. There are also some ‘doorway' stones. Of course, there is absolutely NO evidence for the oracle theory! There is only theory. It could just as easily have been a centre for justice, with an accused on one side, and a judge or jury on the other! This is why I am fascinated by places such as this. 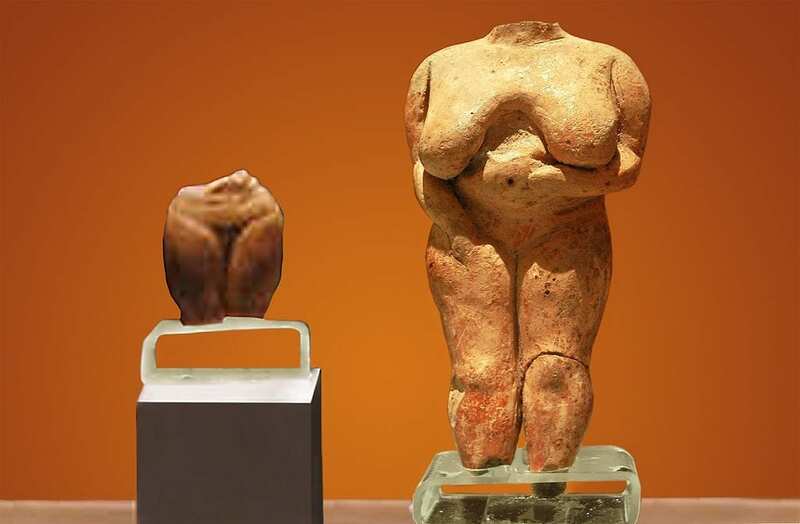 There were a number of figurines found around the site, now displayed in the Archaeology Museum of Malta in Valletta. The most famous are the ‘Venus' type figures. I have seen these all over the world. In South America they are called PachaMamas. The history of these ‘earth mother' figurines in Europe goes back over 40,000 years. Perhaps this was a religious complex after all, with Priestesses instead of priests? 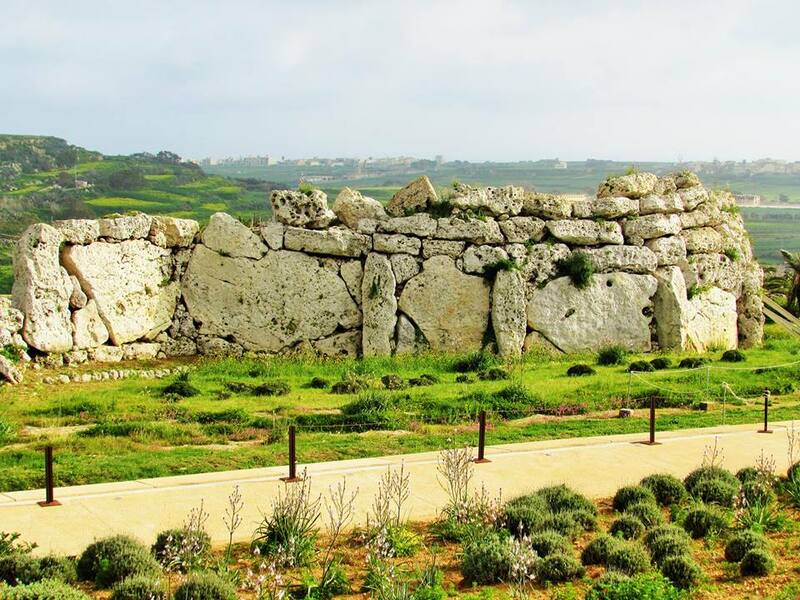 The Ggantija temples are found on the island of Gozo. They are the oldest of the megalithic temples of Malta, and the earliest phases of construction are dated to between 3600 and 3000 BC. Ggantija is much cruder than Hagar Qim and Mnajdra, but at the same time, the rocks involved seem to be much larger and heavier. There is no denying that they are from the same culture, but I had the impression they were almost a ‘first attempt'. This isn't to take anything away from them though. They are magnificent! Whilst with the first two temples, I could see how they might be an ‘oracle' centre, I didn't really feel that way with Ggantja. Instead, I got the feeling that it was more of a community building! Maybe this wasn't a temple after all. Perhaps it was a market place? Was it a place where laws were passed? Could it even have been a bake-house where bread was made? They said these ‘fireplaces' were where sacrifices were made, but who really knows? 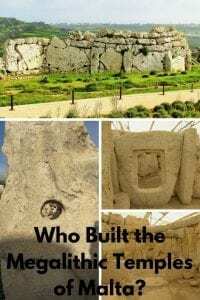 Who built the Megalithic Temples of Malta? As the builders of these temples left no written records, the answer is we will never know. Here's my theory (which is just as valid or invalid as any other!). I think the society that built the megalithic temples of Malta was more advanced than we give them credit for. They were able to work together to both design and construct the temples over many years. Being able to transport huge blocks of stone around shows they had a long term vision. It must have been an organised society that pre-dated the temples themselves by hundreds of years. They must have had the ability to sail between islands. Their use of Venus figures indicates a culture that stretched back for tens of thousands of years. Conclusion: Visiting ancient sites such as the Megalithic Temples of Malta always makes me realise that there is so much about the world we don't know. It is probably one of the main reasons I like to travel and see places such as these. It's a reminder that we all just play a tiny part in a much bigger play going on all around us. My 7 wonders of the world – After visiting hundreds of ancient sites around the world, these are my 7 wonders. Easter Island – A look at my visit to Easter Island back in 2005, along with an interesting experience catching the plane! Ancient Athens – A look at the archaeological sites of ancient Athens. European city breaks and getaway ideas – Start planning your next long weekend here! This is a great post. There are still so many mysteries in the world…and you’re right, we all just play a tiny part in it all.